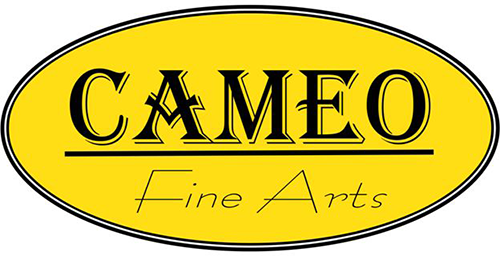 Cameo Fine Arts realises that online users are concerned about the privacy and security of their personal information. Maintaining your privacy and providing a hassle-free, enjoyable and discreet shopping experience is of utmost importance to us. Therefore, to provide you with a safe, and secure shopping experience, we use the highest level of security available. Internet Explorer 4.0 or higher or Netscape Communicator 4.0 or higher supports this level of security. We will never sell, rent, or share any information about you or your order to anyone for any reason. The information you supply for your order is used to discreetly deliver the items you've purchased. Once you've received your order, you may occasionally hear from us via email unless you've requested otherwise. believes that securing your personal information is a very important part of our job. That means that your password, credit card information and personal information are always secure with us. For instance, when you visit our online shop and provide personal information or place an order, it's done through a secure server which encrypts (or codes) all information you provide before sending it to our own server. Only when it reaches our server is your information decrypted (or decoded). If paying by credit card or via bank deposit, your bank or credit card statement will read "NewZealandNZ.Co.NZ Ltd".